This blog post was originally posted on December 31, 2015, and was updated on December 13, 2017. 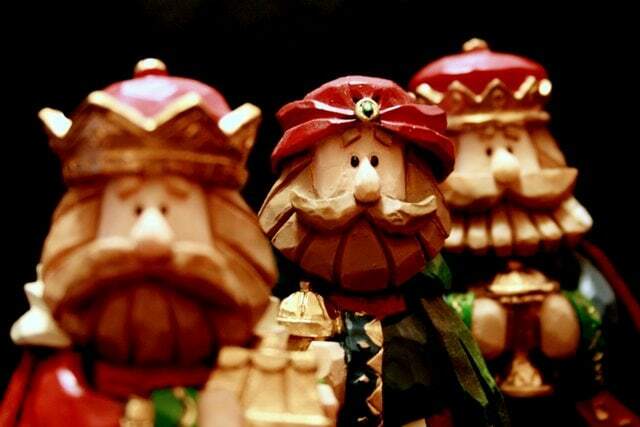 Are you planning on celebrating Three Kings Day in Malaga? While you might only be used to celebrating Epiphany with a special mass or church service, here in Spain, The Three Kings are a big deal. After all, they’re the ones who bring the presents! Santa Claus is a relatively recent addition to the Spanish Christmas scene. Of course, there has always been a family dinner and celebration on Christmas Eve and Christmas Day, but the holiday everyone is waiting for won’t come until January 6th: Three Kings Day (El Día de los Reyes Magos). Little kids go to sit on the laps of the Three Kings at the local shopping center, and they write their wishes on letters addressed to Melchior, Gaspar and Balthazar. You might notice that the shopping centers in Malaga will stay open on Sundays and have special hours the days prior to January 6th. This is so that everyone can get in their last minute shopping. While back home we are used to everything going on sale starting December 26th, here in Spain that won’t happen until January 7th (after Three Kings Day). That said, there will be some pretty amazing sales or “rebajas” in January! In Malaga (and around Spain) on the night of January 5th they hold a Three Kings Day Parade called the Cabalgata de Reyes. If you are celebrating Epiphany in Malaga City, the parade runs right through the historic center. There are floats, bands, and lots of people in costume handing out candy. If you come with small children, make sure to bring a plastic shopping bag to fill with candy. Of course, the stars of the parade are always Melchior, Gaspar and Balthazar who come at the very end. Everyone has a favorite King, so you’ll have to choose for yourself which one you want to ask for your Christmas wish. 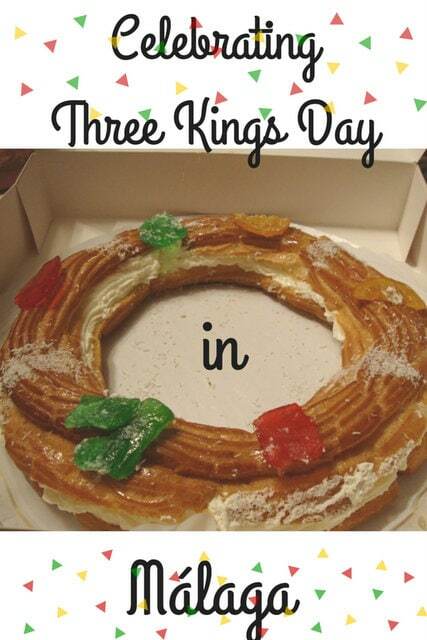 The traditional cake for Three Kings Day is called Roscón de Reyes and if you are celebrating Three Kings Day in Malaga, we’re sure you’ll have seen these in the windows of every bakery shop. The cakes look like oversized doughnuts, but are drier in texture. then glazed and topped with sugar coated fruit slices. You can choose to order your roscón de reyes with vanilla or chocolate flavored cream. 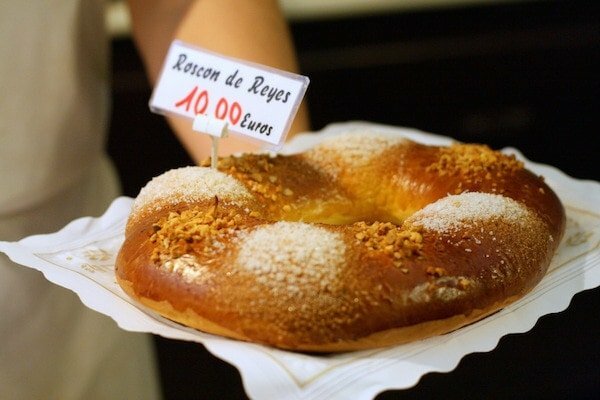 The traditional roscón has vanilla cream. Don’t forget to try roscón de reyes this holiday season! Be careful as you’re eating it, though. There is an uncooked lima bean hidden somewhere in the cake. Whoever finds it will have to pay for the roscón that year. Most cakes also usually include a small toy hidden within, which will bring you good luck if you find it. Instead of leaving a Christmas stocking, the tradition in Spain is to leave one of your shoes in the living room so that the Three Kings will know where to leave your presents the next morning. 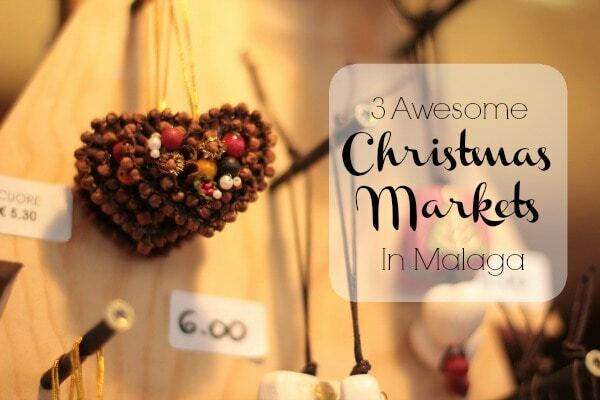 If you are celebrating Three Kings Day in Malaga, join the fun! 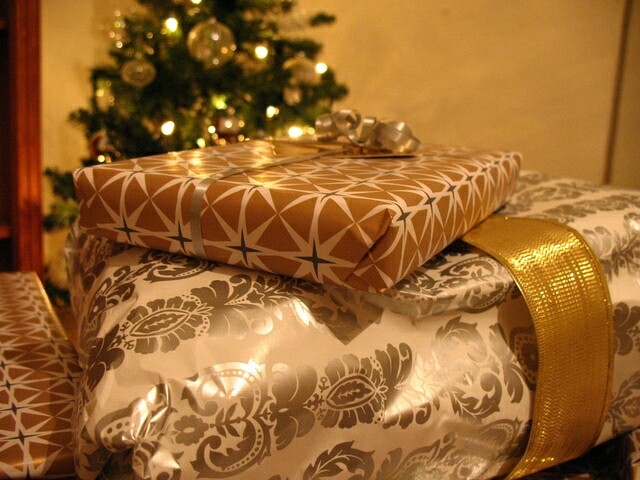 Maybe the Three Kings have a little present for you. The morning of Three Kings Day in Malaga feels just like Christmas morning back home. Everyone tears into their gifts, there are lots of hugs and thank yous flying around and then suddenly there is a calm that rests over the house. The rest of the day is spent playing with toys and new gadgets, eating leftover roscón de reyes and generally winding down the holiday season. After all, school will start the next day and it will be back to the normal routine. If you’re here, walk down the beach or hike in the mountains if you’ve got access to a car! 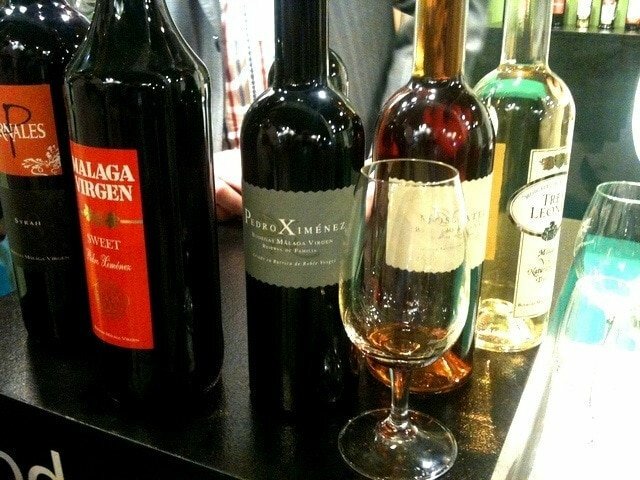 While you are in Malaga, how about trying some of the best local foods and wines on offer? Our Foodie Feast & Cultural Walking Tour is the perfect opportunity to do so. Book early to secure your place!